KFC Australia claims it is one of the first large Australian retail brands to join Snapchat and has used the social media platform to launch its latest taco product. 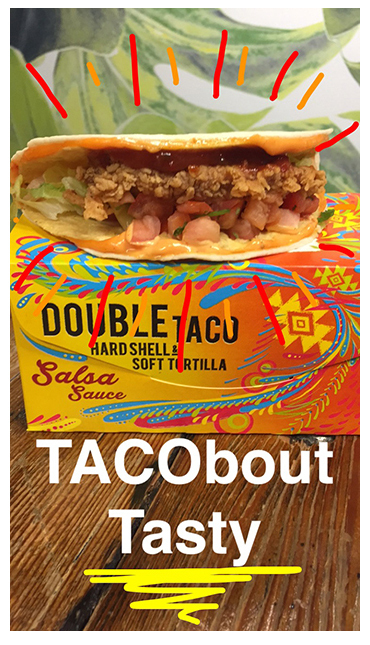 The company launched its Snapchat presence to coincide with the release of the new double soft shell zinger taco, which was announced for the first time to fans using the social platform. The brand said snaps were viewed almost 3000 times within the first three hours of being active on the app. KFC Australia chief marketing and development officer, Nikki Lawson, said the fast food brand was looking to be “on the pulse” digitally and engage with target markets in an environment where they’re actively interacting with each other. KFC launched on Twitter in February and also has a presence on Facebook and Instagram. Lawson said was Snapchat a natural extension to share “KFC moments”. “KFC Australia has a really engaged fan base,” she said. “We are always looking for new ways to create a dialogue with our fans and always endeavour to be on the front foot in terms of digital media. We want to be where the fans are – and right now they’re holding their thumb down on Snapchat stories from their friends, family and brands they love. To date, KFC Australia has attracted 750,000 Facebook fans, 8500 Instagram followers and 5570 Twitter followers. Other brands globally are using Snapchat to both raise awareness and as part of multi-channel activities. The US National Basketball Association, for example, leveraged the Snapchat stories feature to encourage fans to tune into a real-time TV webcast as player, Kevin Durant, was awarded Most Valuable Player. Mountain Dew, meanwhile, used some of Snapchat’s social influencers during the Super Bowl to promote the launch of new flavours of its Kickstart Morning Drink using real-time, fan-driven stories featuring Web celebrities, Jerry Purpdrank and D-Trix. Closer to home, a number of Australian media brands partnered with Snapchat for the launch of its Discover feature earlier this year to provide content to users. These included News Limited, National Geographic, Fox Sports and Cosmopolitan.